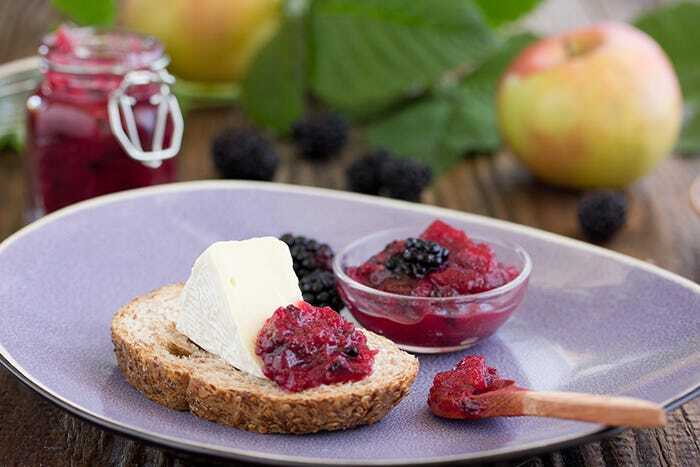 Blackberry season is upon us and it will soon be time to start collecting these tasty berries from the hedgerows. High in vitamin C and antioxidants, you can use this simple but delicious fruit in a variety of dishes. Heat oven to 190C/170C fan/gas 5. Tip the flour and sugar into a large bowl. Add the butter, then rub into the flour using your fingertips to make a light breadcrumb texture. Sprinkle the mixture evenly over a baking sheet and bake for 15 mins or until lightly coloured. Meanwhile, for the compote, peel, core and cut the apples into 2cm dice. Put the butter and sugar in a medium saucepan and melt together over a medium heat. Cook for 3 mins until the mixture turns to a light caramel. Stir in the apples and cook for 3 mins. Add the blackberries and cinnamon, and cook for 3 mins more. Cover, remove from the heat, then leave for 2-3 mins to continue cooking in the warmth of the pan. 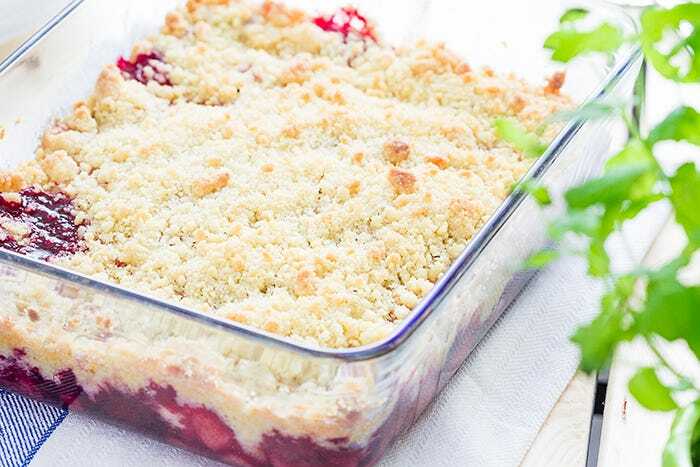 To serve, spoon the warm fruit into an ovenproof gratin dish, top with the crumble mix, then reheat in the oven for 5-10 mins. Serve with vanilla ice cream. Combine all the ingredients, except the vinegar, in a large saucepan. Stir mixture over medium heat until the blackberries burst. Season with salt and pepper, to taste. Add the vinegar and allow the mixture to simmer uncovered for 10 mins. Cool, transfer to a sterilised jar and seal immediately.